In this class your water baby will be introduced to water acclimation, breath control and coordination. Introductory skills include: floating, balance, buoyancy, and comfort. This level is the first level independent of their parents with the teacher. Skills include breath control, supported floating and how to enter and exit the pool safely. This level is geared to provide a solid base of swimming experience for the first- time swimmer. Breath control, buoyancy, supported kicking & paddling, submerging, and the fundamentals of proper body positions are the key skills for the beginner swimmer. Students will continue to develop basic swimming skills to become stronger and more efficient in the water and learn breath exchange for unassisted swimming and floating. Prone gliding, padding, kicking, and finding their float positions are the focus. Elementary backstroke is introduced. In this level, students can glide and paddle and pop for short distances independently. The focus is finding float positions, turning to back float unassisted, and becoming proficient in swimming for longer distances. This is the formative level from the buoyancy skills to learning stroke technique. Swimmers will begin swimming longer distances to develop strength and endurance using back floats for rest. Elementary backstroke is refined. Kicking on back in proper body alignment is developed. Backstroke and treading water are introduced in this level. Students should be able to swim independently under control and switch to elementary backstroke for the length of the pool without assistance. Backstroke is refined and long axis swimming skills are introduced. Students will begin to learn freestyle with and without assistance. Treading water is developed for endurance. As students become more buoyant, advanced swimming strokes are introduced. Rotary breathing, long axis drills for freestyle, and backstroke are the focus for this level. Students will also be introduced to short axis strokes including breaststroke kick and body dolphins. Diving is introduced. This class builds on the foundation of long axis skills by building endurance in freestyle and backstroke. Swimmers also develop proper body mechanics and buoyancy positioning for breaststroke and butterfly. The focus of this level is on developing efficiency for the racing swimmer. Swimmers will become more proficient in freestyle, backstroke and breaststroke, while being introduced to the core fundamentals of butterfly. Advanced coordination drills are introduced for fluid mechanics. Power Swim is geared for swimmers who may not necessarily gravitate toward swim team but still want to enjoy the benefits of swimming and water sports. 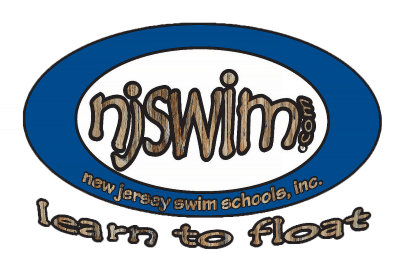 This program for ages 7-14 teaches proper stroke techniques, endurance training, and fun in the water. Swimming is a life-long activity to be enjoyed as children grow. Surfing, boogie boarding, and other water sports require strong swimming skills. This program is age and developmentally appropriate to keep them interested in swimming and building strength as they grow. 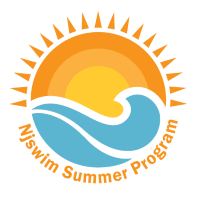 This program will introduce the swimmers to the many benefits of swim team participation. The program is geared to build strength and endurance while instilling the value of positive competition. Interval training workouts are implemented while still developing proficient freestyle, backstroke, breaststroke and butterfly. Starts, turns and finishes are introduced and refined.